Howdy! Well, I've been working on my concept art and look of my 3D major project today and these are a few drawings I came up with for the environment. 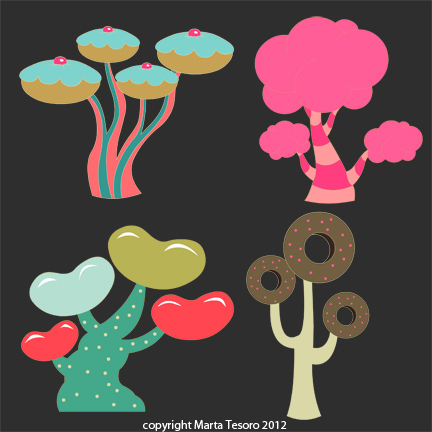 Tree designs! I did quite a few other drawings too...am quite excited about this! Making the candyland....which is Rabbit Town!